Faly izahay manambara fa niara-niombon'antoka tamin'ny The Isaan Record, gazetibokim-baovao antserasera mifantoka amin'ny faritra avaratra atsinanan'i Thailandy, ny Global Voices vao haingana. Ny faritra avaratra-atsinanana no faritra lehibe sy be mponina indrindra any Thailandy saingy tsy dia misy maneho loatra amin'ny alàlan'ny tatitry ny fampitam-baovao mahazatra ity faritra ity. Ny The Isaan Record dia fantatra amin'ny fanasongadinana tantara mifandraika amin'ny sehatra voahilikilika ao amin'ny faritra sy ny vondrona hafa ao an-toerana izay miady amin'ny fanimbana ny tontolo iainana, ny herisetra amin'ny fampandrosoana, ary ny fanitsakitsahana ny zon'olombelona. 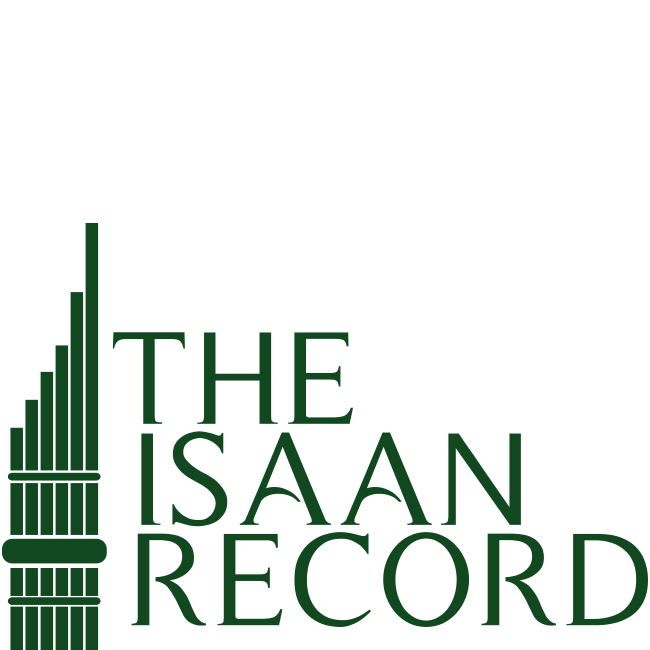 By delivering well-balanced news, features and analysis from northeastern Thailand, The Isaan Record offers Global Voices readers a new perspective on Thai society and politics. We work to tell the stories of the country’s most populous but underrepresented region in the earnest belief that a well-informed populace is the foundation of a healthy democracy. While most of Thailand’s media focuses almost exclusively on Bangkok-centric news, we incorporate a variety of perspectives into our coverage with a focus on human rights, politics, and environmental and development issues. We want to encourage a shift in Thailand's media landscape to become more inclusive in order to provide the foundation for a more nuanced analysis of Thai society. 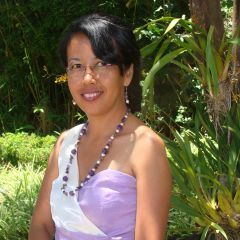 Manolotra fomba fijery vaovao ho an'ny mpamaky Global Voices momba ny fiarahamonina sy ny politika Thailandey ny The Isaan Record amin'ny alalan'ny famoahana vaovao voalanjalanja tsara, ny fomba fiasa sy ny fanadihadiana avy any amin'ny avaratra atsinanan'i Thailandy. Miasa hilaza ny tantaran'ny faritra be mponina indrindra ao amin'ny firenena kanefa faritra tsy misy maneho loatra izahay, ary mino marina fa ny vahoaka mahara-baovao tsara no fototry ny demokrasia salama. Raha tsy mifantoka afa-tsy amin'ny vaovao manokana momba an'i Bangkok ny ankamaroan'ny fampahalalam-baovao Thailandey dia mampiditra ny fomba fijery hafa izahay amin'ny alàlan'ny fitantaranay mifantoka amin'ny olana momba ny zon'olombelona, ​​ny politika, ny tontolo iainana ary ny fampandrosoana. Te handrisika ny fiovana amin'ny tontolon'ny fampahalalam-baovao ao Thailandy izahay mba hisokatra kokoa amin'ny fanomezana ny fototra amin'ny fandalinana mitapoka kokoa momba ny fiarahamonina Thailandey. Nanamafy ihany koa i Drahmoune fa tena manan-danja ny asan'ny sehatry ny fampahalalam-baovao mahaleotena toy ny The Isaan Record sy ny Global Voices amin'ny ady atao amin'ny fampielezana haingana ny fandisoam-baovao izay manimba ny fitokisan'ny vahoaka amin'ny hetsika demaokratika. Independent media outlets like Global Voices and The Isaan Record often have the advantage of a closer relationship with their readers than mainstream media. Our journalists and contributors are grounded in the communities they write about and we see it as part of our mission to nurture a relationship of mutual trust with our readers. Because of this close contact, we are able answer to our readers’ needs and interests and also directly address their concerns. We believe that this flexibility enables us to address the current crisis of public trust in journalism. Matetika manana tombony amin'ny fifandraisana akaiky amin'ny mpamaky azy ireo raha mihoatra amin'ny fampahalalam-baovao mahazatra ny sehatra fampahalalam-baovao tsy miankina toy ny Global Voices sy ny The Isaan Record. Miorina amin'ny vondrom-piarahamonina izay soratan'izy ireo ny mpanao gazetinay sy ny mpiara-miasa aminay ary hitantsika amin'ny ampahan'ny iraka ataonay izany mba hikolokoloana ny fifandraisana ao anatin'ny fifampitokisana amin'ny mpamaky. Noho io fifandraisana akaiky io no ahafahanay mamaly ny zavatra ilain'ny mpamaky sy ny tombontsoan'izy ireo ary mamaha mivantana ny ahiahin'izy ireo ihany koa. Mino izahay fa ahafahanay mamaha ny krizy misy ankehitriny amin'ny fitokisan'ny vahoaka ny fanaovan-gazety ity fanatsarana ity. Antenaina fa ho lasa lavitra kokoa sy hanatsara ny fitateram-baovaon'ny Global Voices ao Thailandy ny fiaraha-miasa amin'ny The Isaan Record. Amin'ny alalan'ity fifanarahana fifampizaràna votoaty ity, antenainay ny hamoaka tantara manome aingam-panahy kokoa momba an'i Thailandy, indrindra fa ireo tolona tsy misy mpitatitra ataon'ny mponina any avaratra atsinanan'ny firenena. Ankoatra ny The Isaan Record, ny Global Voices ihany koa dia mpiara-miombon'antoka ara-botoaty amin'i Prachatai, tranonkalam-baovao tsy miankina iray hafa any Thailandy.